St Joseph’s is located on the junction of Kingston Road and Montem Road, easily accessible by car and public transport. 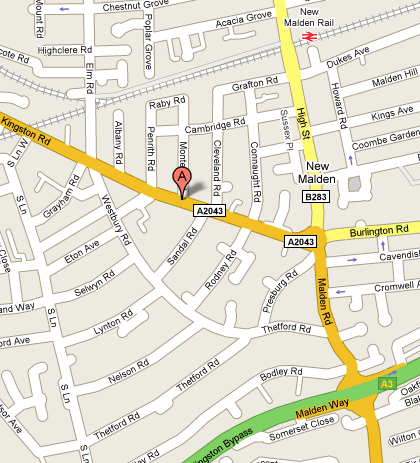 Click here to go to an interactive map showing where we are, where you can also plan your route. The 131 (Kingston to Morden) and the N87 (Kingston to Aldwych, a night bus) both stop right outside the church, and the X26 (Heathrow to Croydon) stops at the roundabout at the junction with Kingston Road, the High Street and Burlington Road. New Malden is in Zone 4, on the main South-West line out of Waterloo. There are regular trains in both directions, and St Joseph’s is less than 10 minutes walk from the station. Directions from the Station: Turn left out of New Malden station towards the High Street, then turn right down Cambridge Road, the second turning, beside the Methodist Church. Then take the third left, Montem Road, and St Joseph’s is at the far end of that, on the left. The Parish Office is open Mondays to Fridays, 9.30am until 12.30pm (except during school holidays). You can contact the Parish Secretary directly on secretary@stjoseph-newmalden.org.uk, or by using the form below. 07:00 MASS Except on Wednesdays, and as announced. The Church porch is usually open from dawn to dusk for quiet prayer before the Blessed Sacrament. 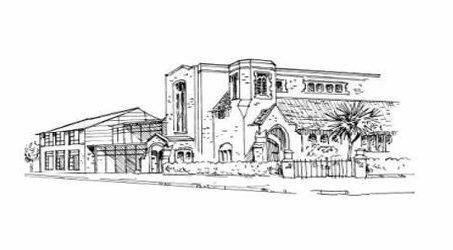 With over a thousand people at Sunday Masses, and more than seventy parish groups, St Joseph’s is a vibrant and varied parish, serving Catholics (and those interested in exploring the Catholic Faith) of every age, interest and background. Our parish life, teaching and mission are faithful to the Second Vatican Council, the Catechism of the Catholic Church, and the inspiration and initiatives of the Holy Father. If you’re new to the parish, or just interested in Catholicism, your best first step is to come to Sunday Mass and experience the varied “styles” at 9.30am, 11.30am and 5.30pm – you’ll be handed our weekly Sunday Bulletin with reflections and news. Then come and meets others over coffee (between the 9.30am & 11.30am Masses), and introduce yourself to one of the Priests or Deacon of the Parish.